Washington DC, March 10, 2017. 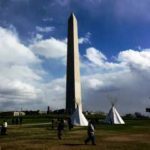 I recently travelled to Washington DC to support my Lakota friends as they marched to protest fracking and the building of a pipeline on their tribal land. Several years ago, in my study of indigenous ways of healing, I had the fortune to be invited by a Lakota elder to attend their sun dance in South Dakota. Watching the enormous offering of strength, the willingness to shoulder pain, and the incredible generosity of spirit that week really impacted my life. I had stayed in touch with my Lakota friend after spending the week with his people. Standing by their side for this day of protest felt like a small way of giving back to them. In spite of the snowy coldness of that day, I found my heart being warmed by the ways in which people treated each other at the rally that followed the march. I am not talking about what was spoken, but rather the attitude underlying the interactions. In tribal societies, the rhythms and stages of life are honored and respected for what they each offer. I felt the beauty of each generation’s contributions to the event. The enthusiasm and passion of youth was honored, as well as the thoughtful leadership of the tribal councils, culminating in a reading of the tribal declaration. We heard angry voices as well as hopeful ones. Elders proudly affirmed the youth, who ran the rally. Young ones fondly acknowledged their elders as they focused on keeping our earth cared for so that she, in turn, will care for the next generations. Broad smiles welcomed one of the grandmothers who had traveled all night to bring her warmth and blessings to her people, and the respect for her spread palpably throughout the crowd. She poured her heart into supporting the next generation, passing on the torch with love. And then, right in front of the White House, all became still when a prayer song called on the Creator to protect our earth, and to bless our people and our planet. 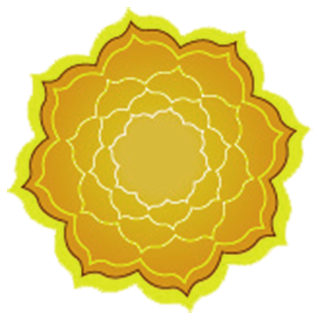 Having been immersed in constellation work for many years, I recognized the right order of things in relationships, and I appreciated that blessings were offered as well as received with such ease. We work hard to restore this “right order” in our constellation circles, for doing so brings healing to the entire family system. 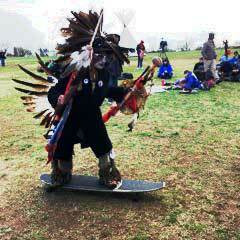 Yet here in DC, it unfolded naturally throughout the day as part of the tribal understanding that was present. 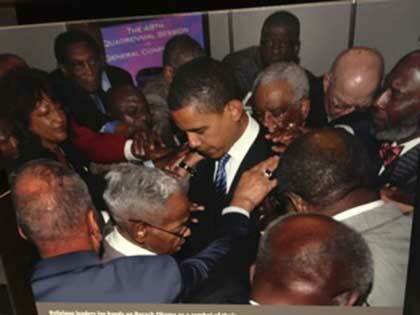 A little later, I stopped by the museum for African American History, and I came across this picture of President Obama receiving blessings from the spiritual leaders of his people. Here it was again—blessings given and received, the torch being passed forward to the next generation with love. In the midst of my daily life, consumed with the tasks at hand, I often lose touch with these larger rhythms. It felt good to be reminded. It was only recently that my own father passed the torch to me. I was scheduled to be a presenter at the 2015 North American Constellation Conference, but my father crossed over the same week, and I needed to honor him instead. Now I will carry this torch for a bit… all the while doing my part to support the younger ones, who will take it when the time comes. On the flight home, I revisited my farewell to my father and thought to share it with you, as it speaks to the seasons of life, the blessings we give and receive, and the passing of the torches. The postcard still in his hand…. To make it to the bathroom. That he is still here… on occasion. And I sit and hold peace. We have loved each other well! Please greet my mother… whom I still miss. And who am I, when you are both gone?